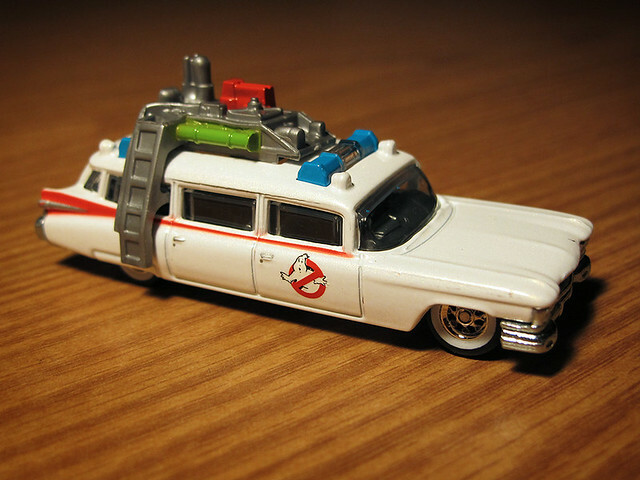 Recently, Hot Wheels just released a new "Retro Series" which included nicer versions of my favorite Hollywood cars. 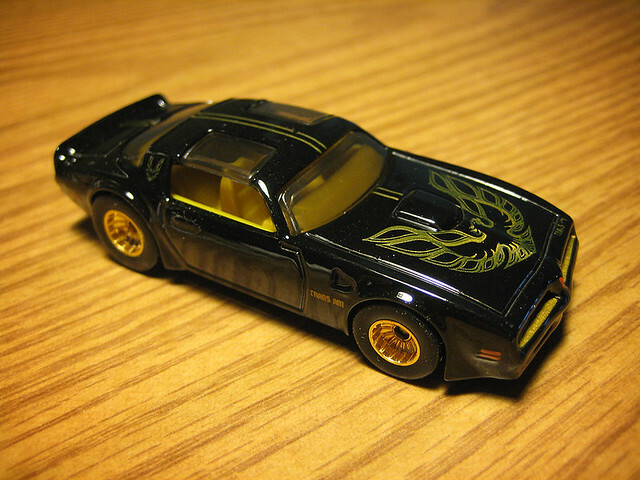 So far, I've only been able to find Kitt from the TV Show Knight Rider (pictured in the group shot), the Trans Am from Smokey and The Bandit, and Ecto1 from the Ghostbusters movies. 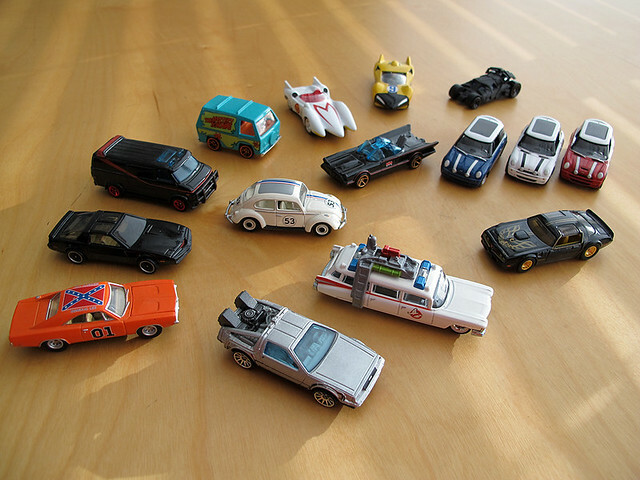 Also in my collection is the General Lee from The Dukes of Hazard TV show, the DeLorean time machine from Back to the Future, Herbie from the Herbie movies, the van from The A-Team TV show, the Mystery Machine from Scooby Doo, the Mach 5 and Shooting Star from Speed Racer, the classic 1960s Batmobile from the Batman TV show, as well as the new one from the Dark Knight series, and finally, the MINIs from the new Italian Job movie.